The roof-covering material ends several inches short of the centerline of the valley. A lining made of metal protects the valley from moisture intrusion. You may encounter defective valley lined shingles installation, failed roll-roofing valley liners, or a cross wash where water running down a roof slope flows across the valley and up beneath the shingles on the adjacent slope. Make sure your roofers install your roofing system properly to avoid these valley problems. Your roofing system has a closed valley when shingles on one or both sides of the roof extend across the valley on the adjacent roof slope. The linings of a closed valley are not exposed to weather or impact because they’re protected by shingles. A type of closed valley is a cut valley where the shingles from the adjacent slope are cut parallel and just short of the center of the valley. A poorly cut valley is a quality issue on installation rather than a defect, so refrain from having roof replacement if you don’t see any leakage. This is a type of closed valley where your roofing system has shingles from both roof slopes run through the adjacent slope, alternating each course. Your roofers should install it in a way that it will prevent runoff from penetrating the shingles. This should never be installed on roofs with a pitch less than 4:12. 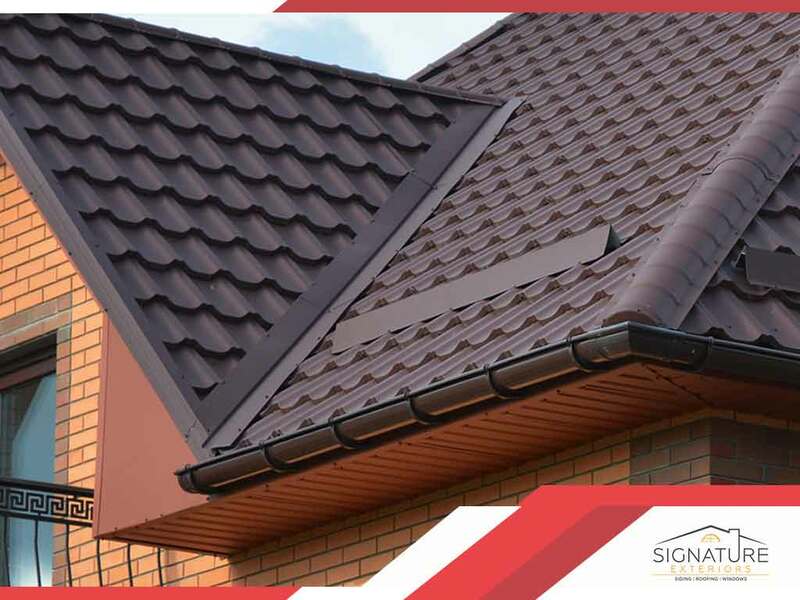 If you happen to notice leaks and you have these types of roof valleys, Signature Exteriors can work with you to correct the problem. Get in touch with us in Greenwich or Danbury, CT, and in surrounding areas. Call us at (866) 244-8029.